You probably thought that finding the best flat iron for natural hair was going to be a piece of cake, right? Then you started looking and realized there are soooo many options out there, and every single hair straightener is totally different. How are you supposed to choose the right one? To make things worse (I’m sorry!! ), buying the wrong iron is more than just a giant waste of money – it also has the potential to cause some serious long-term damage to your hair. Luckily, this helpful guide will help you choose the perfect flat iron for your specific natural hair type. Our number one pick? 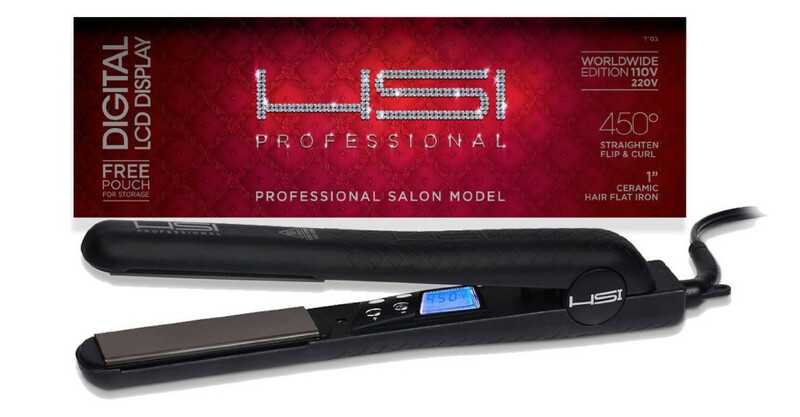 The HSI Professional Flat Iron. If you’re looking for an affordable mid-grade hair straightener that offers tremendous value, you can’t go wrong with the HSI Professional Digital Ceramic Flat Iron with Tourmaline. With a quick heat-up, digital LCD temperature control, and solid ceramic plates infused with tourmaline, you can straighten type 3 hair – and some type 4 hair – with ease. For 4b or 4c hair types that require the most effort to straighten, we recommend skipping out on the HSI Professional Flat Iron and opting for one of the other hair straighteners on our list. The CHI brand has long been one of the most popular for hair straighteners and flat irons, and for good reason – their products work well and they work quickly. 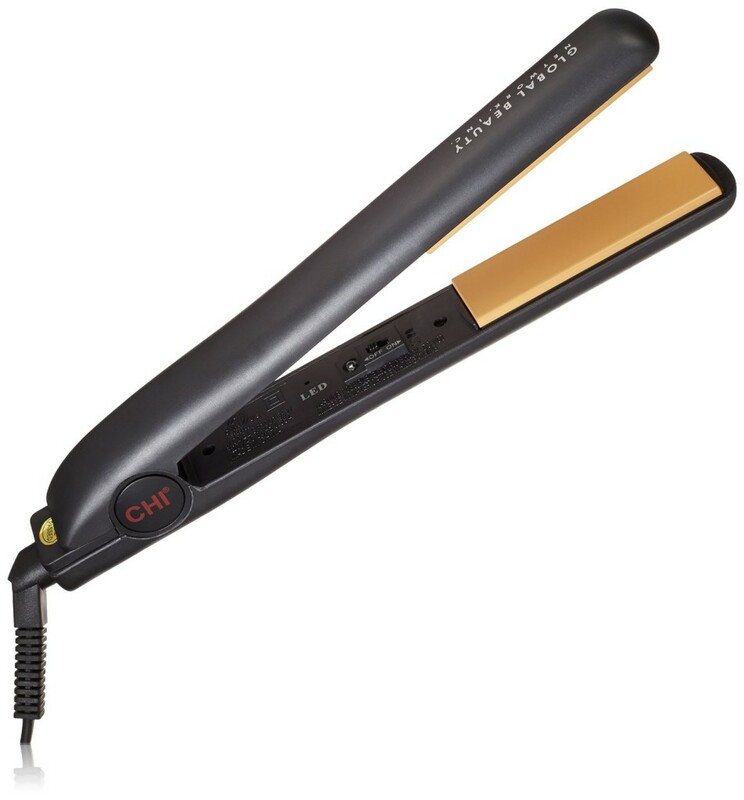 The CHI Original Pro 1” Ceramic Tourmaline Flat Iron is no different. Thanks to its durable build, quality craftsmanship, and leading tourmaline-infused ceramic plates, this is the last hair straightener that you will need to buy for a long time. Although we strongly recommend you avoid nano-ceramic straighteners, the BaByliss Pro Nano-Titanium Plated Flat Iron skips out on cheap filler to offer a high-end titanium build. Because of its ultralight and small design, the BaByliss Pro Nano-Titanium makes straightening even the most curly type 4c hair fast and east. 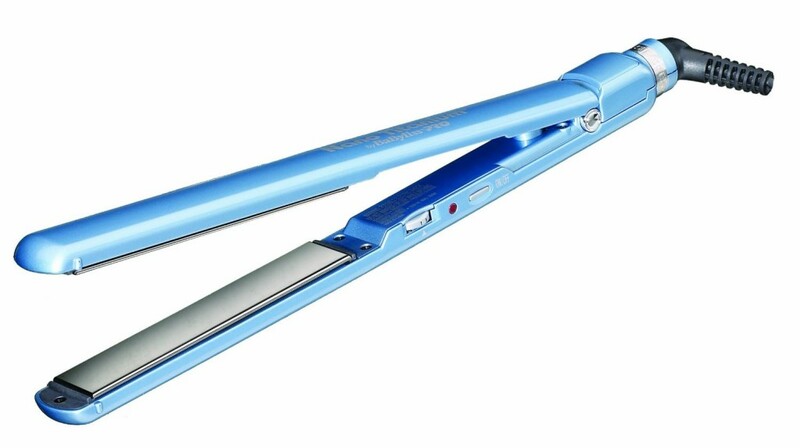 The only downside with this straight iron is that it does not have an auto shutoff switch, so while it is still one of the top straighteners, you do need to exercise caution when using it and make sure that it’s turned off when you’re done. To get even more specific, each classification also has sub-types, such as 3a or 4c. As you move within a class from type sub-type a to sub-type c, you’ll find that the curl pattern gets smaller and tighter, with type 4c being the absolute curliest of natural hair types. By-and-large, most people with natural hair have some variation of type 3 or type 4 – which is exactly why low-end hair straighteners can be so dangerous. 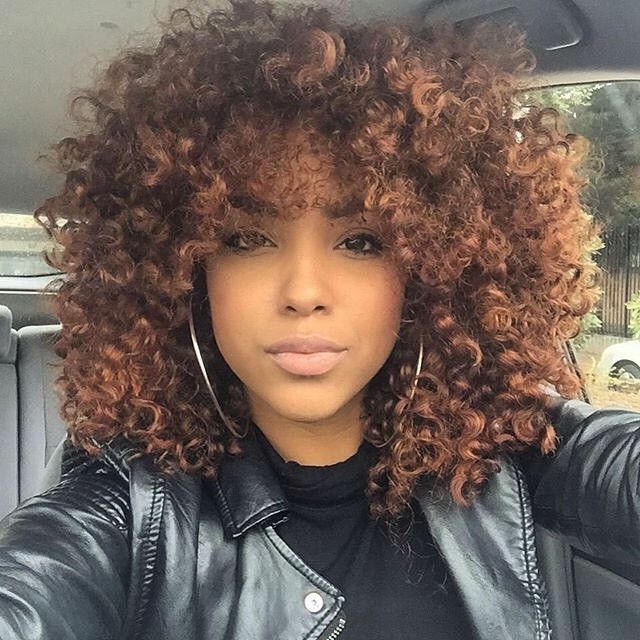 More curly natural black hair has a tendency to be more porous than other hair types. As a result, it can lose moisture easily and become damaged. With the wrong flat iron, this can lead to split ends and breakage after just a single use. Because of how easy it is for type 3 and type 4 hair to become damaged from straightening, it’s important to that regularly use moisturizing conditioners and heat protectant sprays every time, even if you’re using the best flat iron for natural hair. You’re most probably here because all of the different options and features available on modern flat irons can be a little confusing! Don’t worry, we’re here to help. This is where you’re going to want to start paying close attention. A lot of hair straighteners will boast that their nano-ceramic like this is a good thing. In reality, this means that they’re made up of a cheap filler material (that will not heat as evenly or remain as durable as true ceramic) which is coated with a thing outer ceramic layer. If you want a flat iron that’s safe for natural hair, make sure you go 100% ceramic, or better yet, solid ceramic infused with tourmaline or titanium. While all of the best natural hair flat irons will be made out of solid ceramic – not a nano-ceramic composite – many will also be infused with tourmaline or titanium. Titanium is a strong, lightweight metal, and tourmaline is a semi-precious stone, and both are excellent at reducing frizz and straightening even the most stubborn natural hair. This is an absolute MUST HAVE for anyone with natural black hair. We talked earlier about how dangerous low-end flat irons can be for anyone with type 3 or type 4 hair, and this is precisely why. If you fit into those hair types, any straightener without an adjustable temperature control is likely to be way too hot for your hair to handle – especially for long-term use. Most mid-grade and high-end hair straighteners come with plates that are 1” or 1.5”. If you are looking at one that is 2”, 2.5”, or even bigger, steer clear immediately. Not only does larger plates make it easier for you to accidentally over-iron (and seriously damage) your hair, but they also make it more difficult to get all of the way down to your roots. For anyone with type 3 or type 4 hair, trying to use a large-sized flat iron would be far more trouble than it’s worth. Have you ever forgotten to turn your flat iron off and left it all day? You probably didn’t burn your home down, but that doesn’t mean that the risk isn’t there. Numerous house fires are caused by unattended hair straighteners every year. Luckily, most modern straighteners come with an automatic shutoff feature which will cut the power after a certain period of non-use. Not all irons will be equipped with this important safety option, however, so make sure to at least take a quick glance for it before deciding which flat iron to purchase. If you have thick, curly hair and have ever tried to straighten it, you know that it can be tough. In addition to making sure that you’re using the right flat iron for your specific natural hair type, you also need to follow some best practices for straightening natural black hair. Always wait until your hair is dry to straighten it. Using a hot flat iron on wet can is just asking for trouble. Having trouble straightening your type 4 curls? Use your hair dryer to blow them out and loosen them first. Begin at the lowest heat setting that your hair iron offers and work your way up from there to avoid heat-related damage. Spray your hair with a quality heat protectant every time before you use your hair straightener to prevent split ends and breakage. While straightening, focus on small sections of your hair – no more than 1” wide – at a time. Start at the base of your hair, at your roots, and work your way down from there. Avoid using the flat iron more than twice on the same section of your hair per straightening session. This can quickly lead to excessive moisture loss. Even if you’re using a top quality straightener like the HSI flat iron on your hair often, you absolutely need to be using conditioning moisturizer on a regular basis. Even at the lowest heat settings, frequent straightening can cause frizzing, split ends, and breakage. So there you have it, our experts here at Respectable Reviews picks for the top hair straightener for natural hair, as well as some of our best tips for straightening natural hair without causing damage. While there are so many different types of hair straighteners out there, you can rest confident in knowing that if you’re picking one of the flat irons that our experts selected, you are treating your hair (and your confidence) to the best flat iron for natural hair out there.